Six winners will be selected via random drawings during the #ToughTrades giveaway. 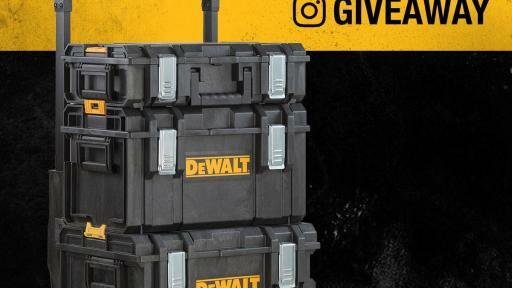 All the action starts today, December 4, 2017, at 9:00am EST on Instagram @DEWALTTOUGH. 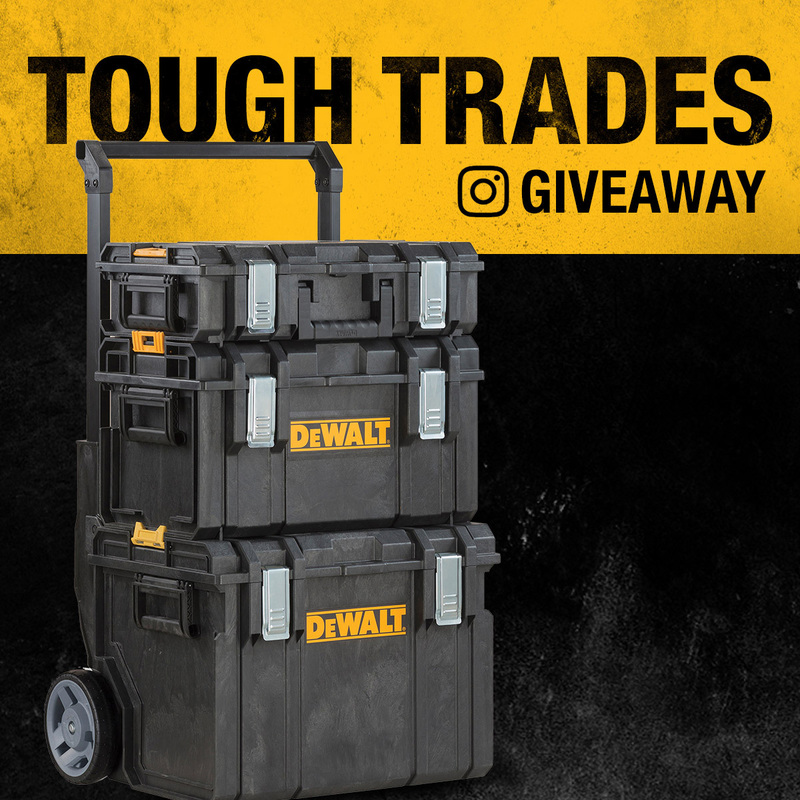 DEWALT Tough Trades Sweepstakes: NO PURCHASE NECESSARY TO ENTER OR WIN. See Official Rules for the entry period of each Sweepstakes. You must be age 18+ and legal resident of USA (50 states or D.C.) to enter. Employees (and their immediate families and members of same household, related or not) of DEWALT and its affiliates are not eligible to enter. Each Sweepstakes will award 1 prize to 1 winner. Odds of winning a prize depend on the number of eligible entries received for each Sweepstakes. All federal, state and local laws and regulations apply. Void where prohibited.